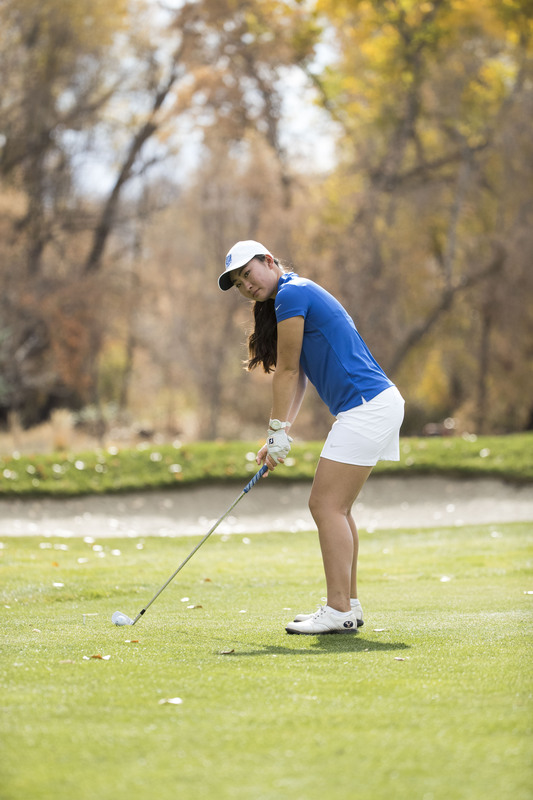 Senior Rose Huang can see her name written in four different columns in the BYU golf individual record book for her final year with BYU golf: record low for 18, 36 and 72 holes, as well as the best average score over the course of a season. Huang lived in China until the age of 4, where she became involved in gymnastics and swimming. 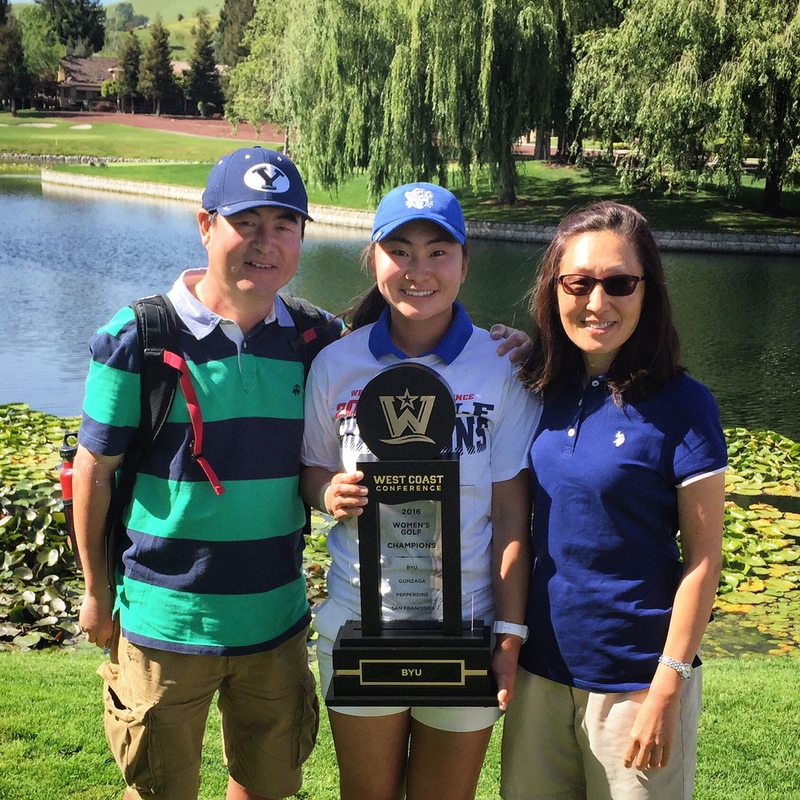 Her parents both received scholarships to BYU-Hawaii, causing the family to make the move to the U.S.
Huang joined a junior development golf program at the age of 8 and showed natural ability early on. “Golf clicked with me really well from the beginning, and things just escalated from there,” Huang said. This talent lead her to solely pursue golf competitively, making it her priority. While the other sports brought Huang joy, the challenges that accompanied golf gave her a deeper sense of satisfaction. Huang said this time and energy is required because of the deeper learning curve golf has compared to other sports. She planned from a young age on golf being a major part of her college experience. She and her family were all dedicated to this plan. When it came time to commit to a Division I NCAA team, she considered other schools like Gonzaga, Northwestern University, University of Oregon and Pepperdine. 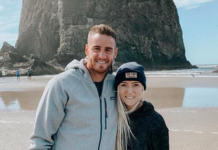 Ultimately, the culture of BYU’s golf team and the campus won her over during her visit as a high school junior. Now a senior double majoring in global supply management and food science, Huang says she did not feel intimidated about the idea of attending a school affiliated with The Church of Jesus Christ of Latter-day Saints. Growing up near BYU-Hawaii, Huang knew about and lived the honor code standards growing up. 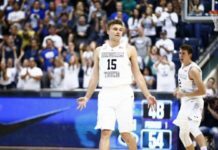 She claims BYU stands out in a good way. Huang initially struggled with her nerves as a freshman, realizing her performance would affect her entire team. She accustomed to the pressure and took first place at the 2018 WCC Golf Championships. Aside from the recognition and legacy she has created for herself at BYU, Huang’s years playing golf have taught her how to get the most out of life. Roberts said she is saddened by Huang’s departure as Huang uses her final year of NCAA eligibility this season after the two spent four years together. A specific strength of Huang’s sticks out to Roberts in particular: her short game. 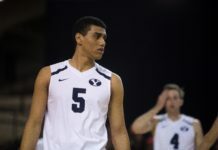 According to Roberts, much of the team’s success is due to Huang’s work ethic and discipline. Far from burnt out, Huang plans to play golf following her graduation in Winter 2020.